If you?re just starting your journey towards financial independence, trying to save while paying down student loans, a mortgage or other debts can feel overwhelming. To make these critical financial decisions easier, GOBankingRates spoke to four millennial finance experts to get their best advice on how to make smart money moves. When you?re just starting out your financial journey, being ?successful? might feel like a long way off. However, with these tips, you can get started early to set yourself up for financial success. ?Start by identifying your psychological relationship to money,? said Erin Lowry, author of ?Broke Millennial: Stop Scraping By and Get Your Financial Life Together.? ?What?s your earliest money memory and how did it make you feel? How do you feel about money today? It?s hard to move forward with your financial life without first addressing your mental blocks and triggers. Once you truly understand those, then you can start to put systems in place that can protect you from yourself.? ?One trick I always like to tell people is to find more time,? said Michelle Schroeder-Gardner, founder of Making Sense of Cents, a personal finance website that helps readers learn how to save more, earn more and live more. ?So many people think that they can?t improve their financial situation because they don?t have enough time. However, the average person watches over 30 hours of TV a week, and that could easily be put towards making more money, finding ways to save money, learning how to improve your financial situation and so on.? 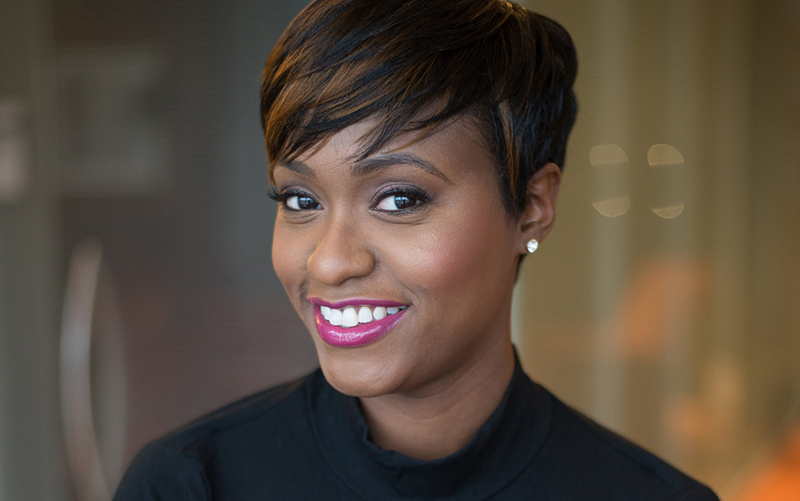 Being financially successful comes down to simple math, said Dominique Broadway, founder of Finances Demystified. ?It?s important to ensure you are always making more money than you are spending,? she said. If you can?t increase your income right away, look for areas where you?re overspending and cut back. ?Don?t be like the majority of the population that operates from a place of ?What is in it for me,?? said Brittney Castro, founder of Financially Wise Women and a 2018 Best Money Expert nominee. ?Instead, think ?How can I provide value in this situation and be of service??? Castro said. ?From that place you clearly communicate your worth. From that place, negotiation and asking for what you need becomes a breeze because you are operating from a place of abundance, not lack. This is foundational to all other tips and tricks (for) growing your financial accounts. Providing value in every interaction will help facilitate bigger transactions as you continue on your financial journey.? ?You should build an emergency savings fund regardless of your debt burden,? said Lowry. ?Otherwise, when the inevitable emergency arises, it will have to get financed with credit cards.? However, you should make at least minimum payments on all your debts. With what is left over, put some towards emergency savings and some towards an employer-matched retirement plan. ?Once you?ve built your emergency savings to between $1,000 to $1,500, then you can redirect your focus towards putting more money towards your debt,? said Lowry. ?You can also focus on ways to be earning more money during this time period in order to pad your savings or pay down debt more aggressively.? ?If you have high-interest-rate debt, such as most credit card debt, then you may want to try paying that off first mainly,? said Schroeder-Gardner. ?After your debt is eliminated, I recommend saving at least 20 percent of your income. If you have a high income, then you should probably save more of your income so that you aren?t just wastefully spending your money. On the other hand, if 20 percent just seems like a crazy high percentage for you to save, then just start somewhere. Saving something is better than saving nothing. And, everyone has different financial goals. If you want to retire early, then you?ll most likely have to save more than 20 percent of your income.? ?If you have debt, be sure to complete a budget to determine how much you can afford to put towards your debt and savings,? said Broadway. ?Ideally, at least 10 percent should be set towards debt and 10 percent towards savings unless you are tackling your debt aggressively. Once you knock out the debt, save at least 20 percent and increase the percentage as your income increases.? ?Twenty percent of your net income should be allocated to your various goals of debt pay-down, savings and investing for retirement,? said Castro. ?Everyone will approach this differently based on the details of their particular situation. That?s why it is so important to work with a certified financial planner so you can have the exact solution for your specific needs.? Once you have your financial goals set, it?s important to come up with strategies to actually stick to your money goals and grow your net worth. ?Nicknaming your savings accounts is my favorite strategy to keep yourself from raiding your savings for each momentary indulgence,? said Lowry. ?Be specific about what that money is for and then you?re less likely to skim a little off the top each time you?re tempted. Instead, you?ll be confronted with ?Quitting Day: March 1, 2019? instead of ?Bank Account 39234091.? Being reminded why you?re saving helps you leave that money well enough alone.? ?Be both specific and actionable about your financial goals,? said Schroeder-Gardner. ?If you want to save $10,000 in two years, then break that down to $5,000 per year, and more specifically, $416.67 per month. Now you can really take action instead of continuing to think, ?Man, I want to save $10,000.?? ?My favorite money tool is Personal Capital,? said Broadway. ?This finance tool can help you see your net worth, your overall financial picture and help you plan your future. Plus, it?s free.? She also recommends checking your bank accounts daily. ?It?s a great start to ensure your money is being well spent and allocated correctly. In addition, apps such as Mint, Personal Capital and You Need a Budget are great to ensure you are on track to reach your money goals.? Castro recommends that all of her clients use the 50/30/20 budgeting rule to make sure they are allocating their money well. ?Fifty percent of net income is for fixed expenses, such as (a) mortgage, car payments and utilities; 20 percent is for your savings goals, including short- or long-term goals such as an emergency fund, vacations, home or retirement; and 30 percent is for variable expenses or the ?fun stuff? ? shopping, gifts, clothes, etc. If you review your financials with this breakdown and are unsatisfied with the numbers, this is when you cut back on your spending in certain areas or get creative on how to bring in more money so that the breakdown works for you. Have fun with it. I know plenty of people that have a side-hustle so they can take that extra vacation or have extra play money.? Lowry says her rule of thumb is to start with a $1,000 emergency fund if it?s just you, or $1,500 if you have any sort of a dependent, which includes a pet. ?Dogs and cats can get sick too,? she said. Once you?ve paid off your debt or gotten it into a very manageable place, it?s time to start building your savings even more. ?Your emergency fund should have a minimum of three months? worth of living expenses if you?re traditionally employed, and I?d say at least five months? if you receive a variable income, in case it does need to get you through down months,? said Lowry. How much you should have saved depends on the goal of your savings account, said Schroeder-Gardner. ?Is it for retirement, a vacation, an emergency fund or something else?? She said it?s important to set short-, medium- and long-term savings goals. ?Your short-term goals are what are you saving for that you may purchase in the next year. This could be a vacation, an event you want to attend, holiday gifts, etc. Mid-term goals are goals that you want to reach in the next decade,? she said. ?This may include saving for a down payment on a house, buying a car or building up an emergency fund. Long-term goals will most likely be your retirement goal or paying off your mortgage completely.? ?Your savings account should have three to six months of expenses, and if you are an entrepreneur, the goal is six to nine months of expenses,? said Broadway. ?Set up savings to be automatic because you need pay yourself first,? said Castro. ?Then you don?t have to think about it, and it?s happening every month without you needing to lift a finger. ?